Lori Dennis, ASID, LEED AP, leads the top interior design firm in Los Angeles, is a speaker, best selling author and star of HGTV’s “The Real Designing Women”. Her firm specializes in luxury, high end interior architecture and healthy living. Clean, comfortable, California interiors are a hallmark of her designs. Lori develops lines in home decor, furniture, lighting, and fabrics for global brands. She represents Lamps Plus as a brand ambassador and is an influencer for some of the world’s most respected consumer brands. Under her direction, design teams in Los Angeles, New York, and Miami work on projects internationally. 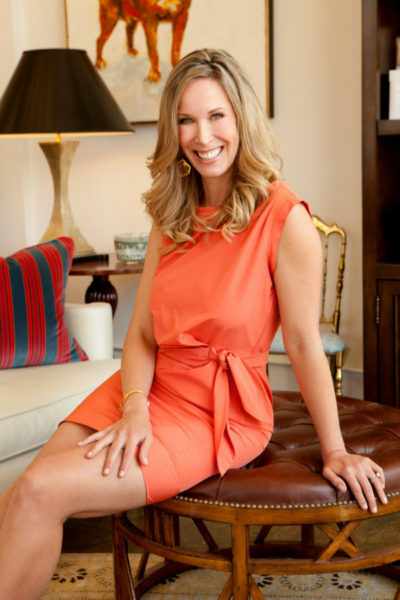 A multiple award-winning designer, Lori has been profiled in magazines, websites and TV on six continents, including Architectural Digest, Elle Decor, LUXE, Dwell, People, New York Times, House Beautiful, Coastal Living, Los Angeles Times and The Wall Street Journal. Recognized by industry titans like American Express, Verizon, Volvo, HGTV, ASID, NBC, Viking, Food Network, Oxygen and countless others as an expert in luxury and healthy lifestyles, Lori speaks at events around the world. Lori Dennis, Inc. is an interior architecture, interior design and construction firm for residential, hospitality and commercial interiors, exteriors and landscape. The firm works with SoCalContractor.com, a licensed and bonded construction company, allowing for a seamless design-build experience for major renovations, remodeling, historical preservation, room additions and new construction. (Interior designer and construction teams may be hired individually.) Lori Dennis Inc works with the best and most well-regarded artisans, manufacturers and vendors in the world.